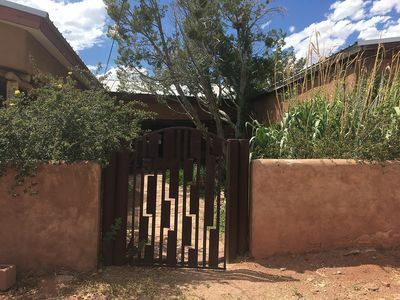 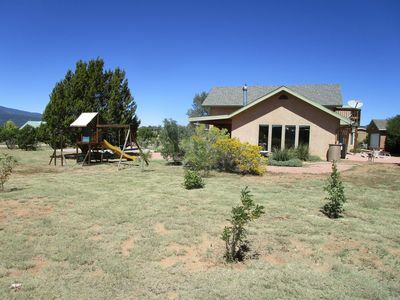 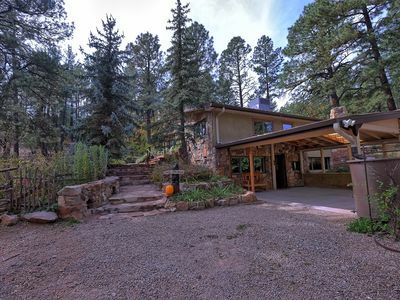 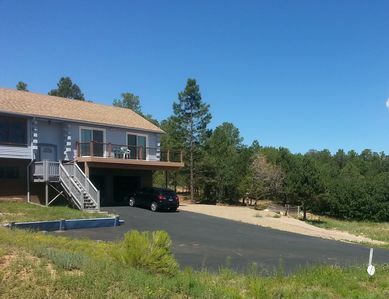 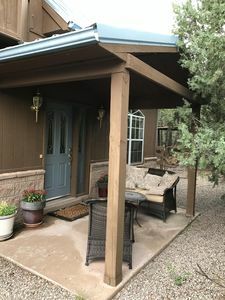 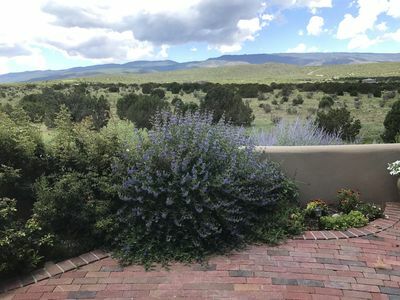 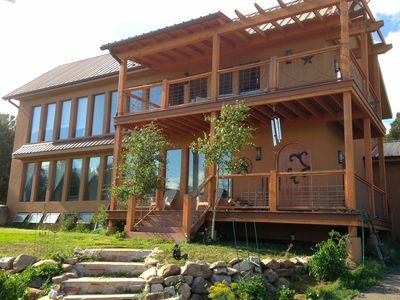 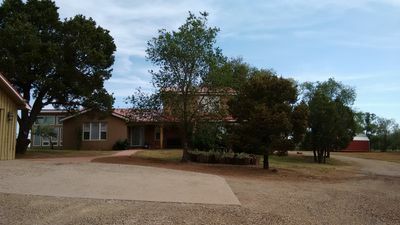 Beautiful 3 bedrooms, 2 bathrooms property with great views of Sandia Mountain and close to numerous hiking trails, 15 minutes from Albuquerque and 45 minutes from Santa Fe along the Turquoise Trail where you will encounter the small artist town of Madrid is about 25 minutes away with of shops and eateries and a pub. 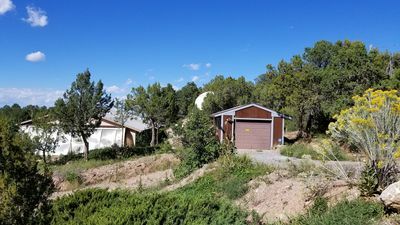 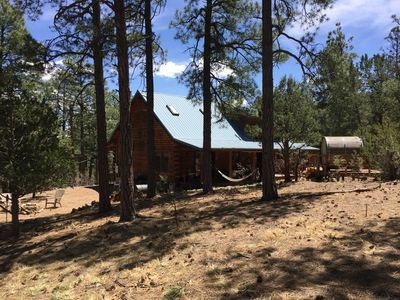 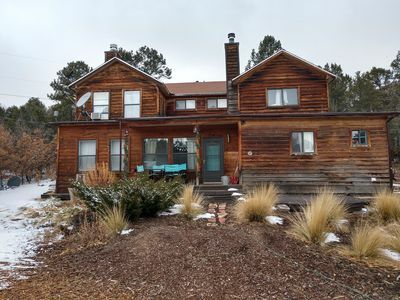 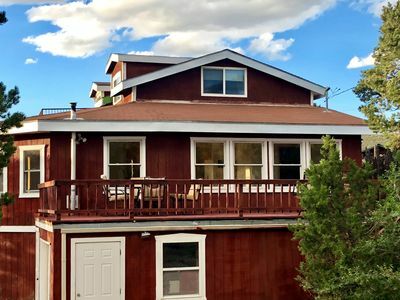 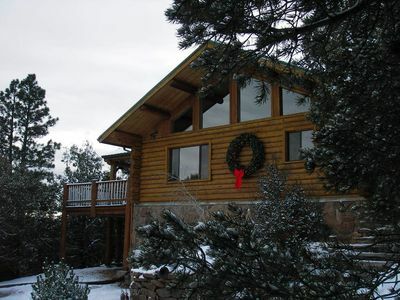 The house is also 20-minutes from the Sandia Peak Ski Area and mere minutes from the Cibola National Forest and Paa-Ko Ridge Golf Club. 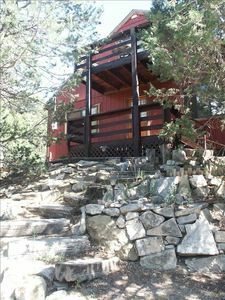 There are restaurants/bars 5 or so minutes away. 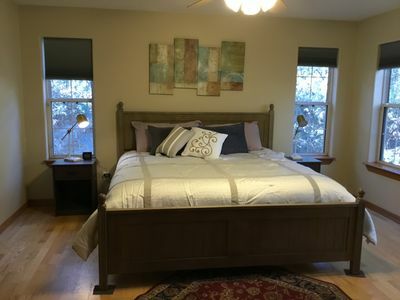 The property has wifi, king bed in master bedroom, queen bed in bedroom 2 and two twin beds in the 3rd bedroom. 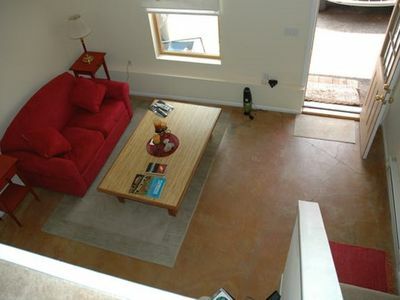 There is also a sofa bed in the living room which also has a 55" Smart TV with Netflix, HULU and CNN.